On September 6th 1997 took place the funeral of the Princess Diana: October 19th marks the tenth anniversary of the death of Jacqueline du Pré. Moray Welsh notices certain parallels between Du Pré and the Princess of Wales. On Thursday August 21st this year I was visiting close friends in Yorkshire. Flicking through a newspaper, I came across a photograph of the Princess of Wales and Dodi Fayed on holiday together in the South of France. Nothing unusual in that; their photographs had been everywhere in recent weeks. Then a strange thing, for me, happened. It was strange because I don’t consider myself as being in any way clairvoyant, or anything like that. But I had an overwhelming feeling of foreboding and sadness when I saw the photograph, and my words to my friends were “ I feel that all this is going to end very soon in tears ”. When I heard the news, a week later, of Princess Diana’s death, added to the shock I felt a chilling sense of confirmation. Then another week later, seeing the vast crowds in Hyde Park the night before Princess Diana’s funeral brought back a vivid memory for me. It was as though I was suddenly whisked back in time to the same scene sixteen years ago on the eve of the Royal wedding. I was then thirty-four and on that day, Tuesday 28th July 1981, I was playing two Concertos at the London Proms in the Albert Hall - probably one of the most important dates of my career up to that time. One of the pieces which I was playing had also a special significance. The Concerto by Hugh Wood, which I had played on several occasions, is one that is particularly close to me: in its language and intensity it seems to me on a par with the greatest cello concertos. But what the programme notes didn’t say, was that the inspiration behind the Concerto was the playing of Jacqueline du Pré. The Concerto had been written between 1965 and 1969, a time when du Pré was at the height of her career, and Hugh Wood had Jackie very much in mind when he conceived the work. Sadly she never played the piece. 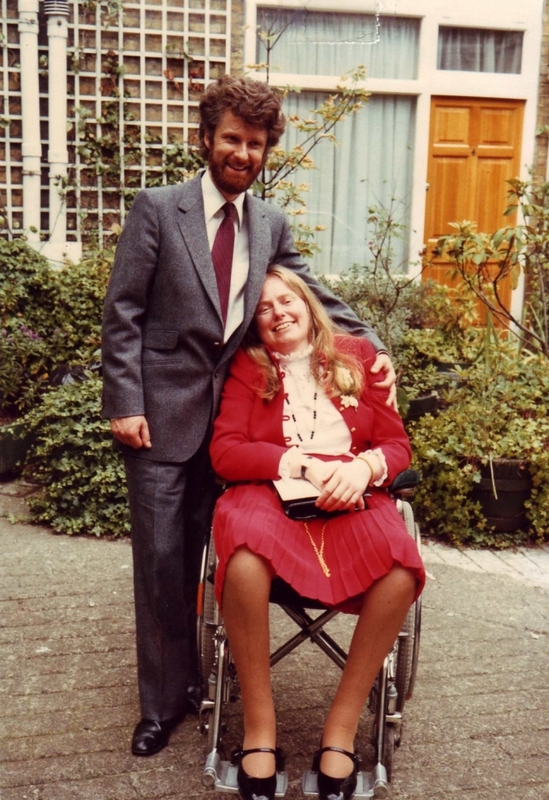 In the years following the onslaught of M S, Jackie had become a close friend and supporter, and I was very happy that, although by that stage confined to a wheelchair, she was able to be present at the Prom that night. It was always inspiring to know that she was in the audience, even though it was for her a cruel irony to be on the “wrong” side of the platform. Though she could sometimes be disarmingly critical about musicians, she was always unstinting with her support, and seeing her beaming face at the end of the concert was a reward in itself. The next day, Wednesday 29th July, was the day of the wedding of Prince Charles and Princess Diana, and Jackie had asked me if I would accompany her. She had met Prince Charles on several occasions, and they had corresponded. Prince Charles had written her (in his own hand) some lovely words of support, telling her how much her playing had meant to him, and I had also helped Jackie, when she could no longer write, to compose some of her replies to Prince Charles! It was always something that gave her great pleasure, to know that people really enjoyed her playing, and of course once she stopped playing, she no longer had the ecstatic response from audiences in live concerts to feed her. So those two days were red-letter dates in my diary - first my Prom, then the next day the Royal wedding with Jackie. I had ordered a new suit for the wedding and on the afternoon of the concert, I collected it and put it into the boot of my car, which was parked outside the Albert Hall for the rehearsal and concert. But after the concert when we came out into the street, there was not the remotest chance of driving to the restaurant we’d booked in Bayswater. The scene was tumultuous - thousands and thousands of people were thronging the streets, and heading for the park where there was to be a firework display. I had never seen such crowds, and because of the numbers of people the traffic had been stopped. So I was forced to leave my car (and suit!) by the hall and set off with my friends on foot across the park. But the atmosphere was festive and seemed to capture the mood of excitement and hope that the young couple symbolised. The crowds were well behaved, though to be in the middle of such a flowing mass of people also made one feel that something was going on that was very much outside one’s own control. I was feeling quite high after the success of my concert, and the buzz of so many people added to my personal sense of excitement about the whole occasion. The next day I had to get up early in order to retrieve my car and that suit! My neighbours in Queens park, an elderly lady and her daughter, had in their way become supporters too, and when I saw them as I was leaving, they congratulated me on the concert which they’d heard on the radio the night before. I was touched, and couldn't resist telling that I was off to - guess what? - The Royal wedding! They were speechless, especially as, at that moment, I was wearing jeans and an open-necked shirt. I explained about the car and the suit. I picked up my car and went to Jackie’s flat in Knightsbridge to change, and we were then driven to St Paul’s for the wedding. It was, of course, a splendid occasion, and I felt very privileged to have been there. We had very good seats half way down the cathedral, where a row was reserved for people in wheelchairs. Jackie always liked to be the centre of attention, so it was rather trying for her to be simply be one of many guests at the wedding. But in a way which was very typical of her, half way through the service she said to me in a very loud whisper “ Moray, take me to the front !” Of course I was embarrassed, but that was her ploy - she enjoyed seeing how I would react - and probably attracted some attention to herself in the ensuing whispered conversation which followed, as I tried to explain that I couldn't take her to the front as the Royal Family were seated there and there wasn’t really a place for her there! Formalities were, for Jackie, as for Princess Diana, a humbug, and she was happy breaking social taboos. Those were heady days, and it all came flooding back seeing the crowds in Hyde Park on the evening of Friday September 5th as Princess Diana’s coffin was driven to Kensington Palace past the Albert Hall. The mood was very different, but somehow those crowds felt one and the same - whether people rejoicing, or people grieving, - like part of one enormous family, and indeed maybe some had been there sixteen years before. Then I realised that in many ways Princess Diana and Jackie had much in common. Both were, in their own ways, young women who had everything going for them, surrounded by glamour and attention, masking private sadness, and both lives were cruelly cut short. Although Jackie lived till she was forty-two her playing career ended when she was only twenty eight. Both achieved icon status in their own lifetime and both have provided rich fodder for those seeking to capitalise on their fate. I well remember how much pain it caused Jackie to know that a playwright had based a play on her (though he subsequently denied this) and in spite of her entreaties he refused to change the characters. It was her mistake that when he initially sent the play to her she ignored it, thinking that nothing would come of it. He took her silence to mean that there was no objection. The media-attention which had followed Jackie everywhere in her halcyon days, and to some extent created the myth, began to devour her. Maybe that was true of Princess Diana too. As the tenth anniversary of her death approaches, the media is again resurrecting scandal. “ Revelations” are splashed across national newspapers and a film is to be made. What hope is there for a balanced portrait of Jackie? Of course there was pain, and suffering in her, but there was also incredible bravery, humour and loyalty. We all have our stories about Jackie, but in the welter of all the newsprint being devoted to the “scandal”, where is the recognition of her truly great contribution to music and the art of cello playing ? She changed the face of cello playing in this country and all over the world, blazed a trail for British music (particularly Elgar of course), and showed the world that an English musician could reach out like a Callas in the depth of her feeling. And like Princess Diana, she too was a queen of people’s hearts. Let’s not forget that.